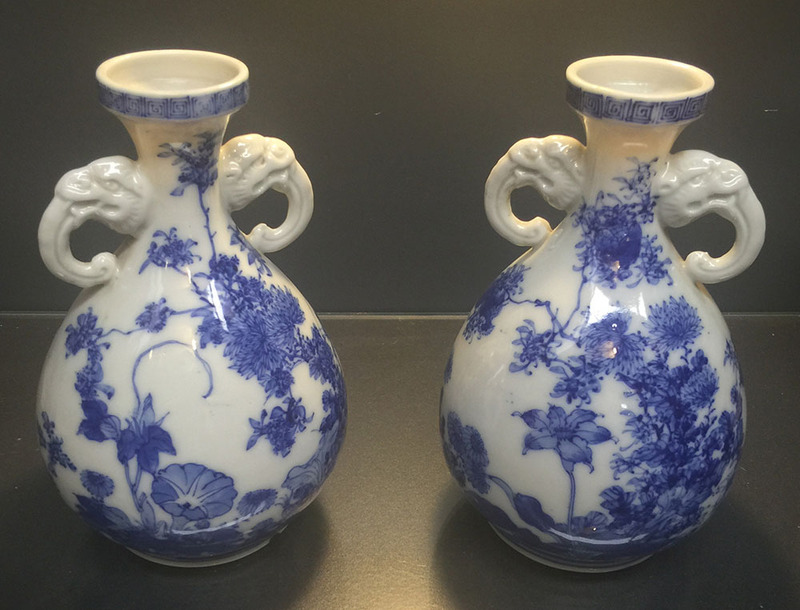 Fine Pair Japanese Hirado Vases. Late 18th/Early 19th C.
6 1/2″ in height. Deep cobalt blue underglaze with kylin head handles.